She didn’t realize she had alighted the jeep without taking her change. When we were children, our parents would often tell us stories from the Bible. One of which was about a woman who only gave 2 coins to the church, while other rich people threw on expensive gifts. 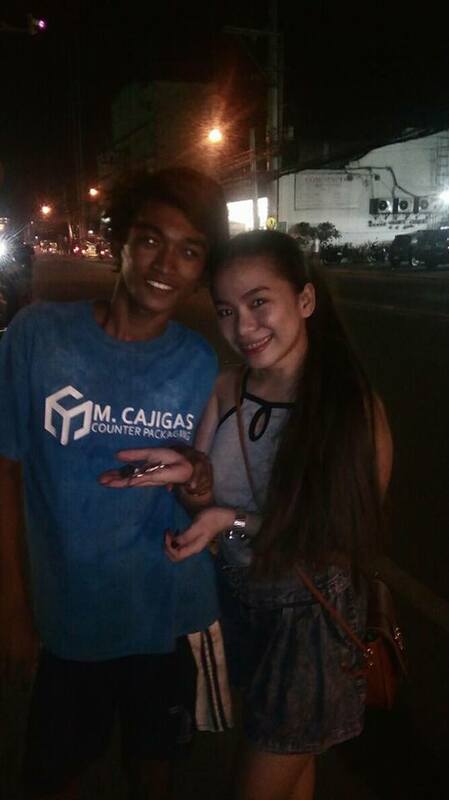 Netizen Arah Matampale shared a touching encounter she had with a beggar on Facebook. 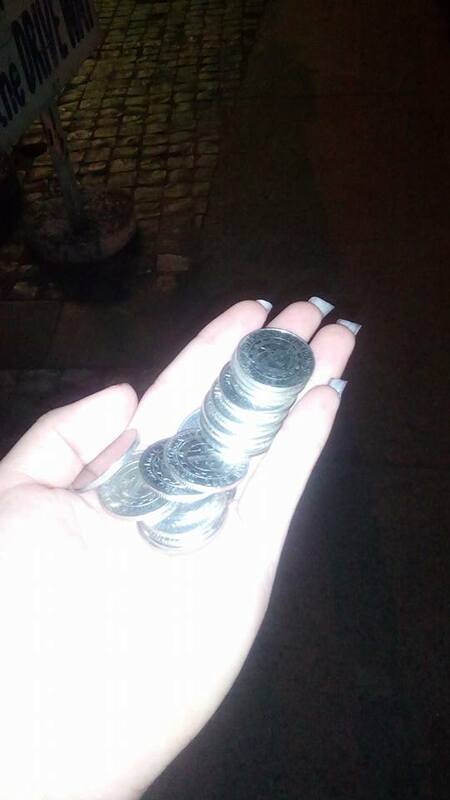 In her story, a beggar gave her what little money he had so she could go home safely. This is what first came to my mind as I heard about this homeless man, who handed over all of his money to a woman who did not have money for the fare. Despite not having a bite to eat the whole day, this homeless man offered everything he had. According to Ms. Matampale, she had paid 100 pesos in a jeepney she was riding in. 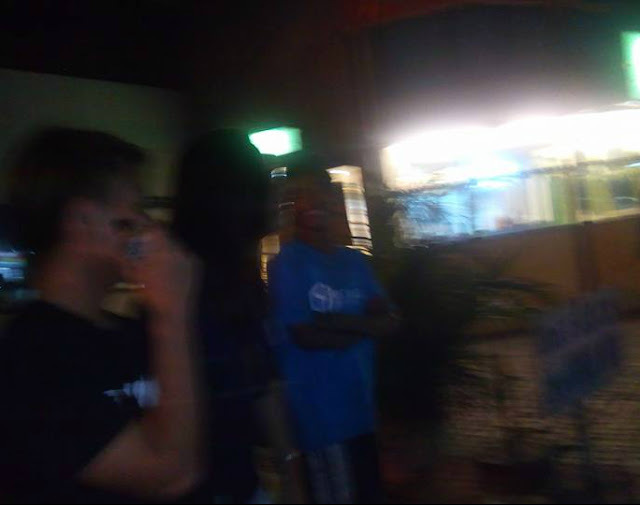 Suddenly her attention was called by friends she saw nearby. 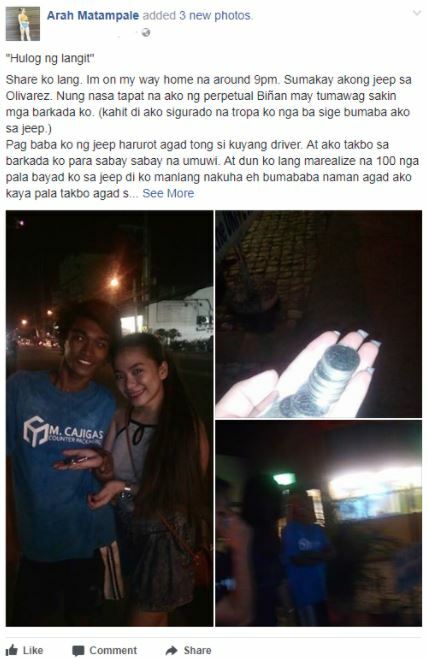 She got out of the jeep to accompany them, only to realize that she had forgotten the change from her fare. Matampale immediately regretted her decision because she had no more money to commute home with and the jeep had already left. A man then approached her and begged her for money she could spare. She then told him that she herself was begging as she had no money for fare. Seeing that the woman was in a more urgent need of money, the beggar then offered the only money he had so that she could use it for fare! Me: Namamalimos na nga lang din ako kasi wala na ako pamasahe. 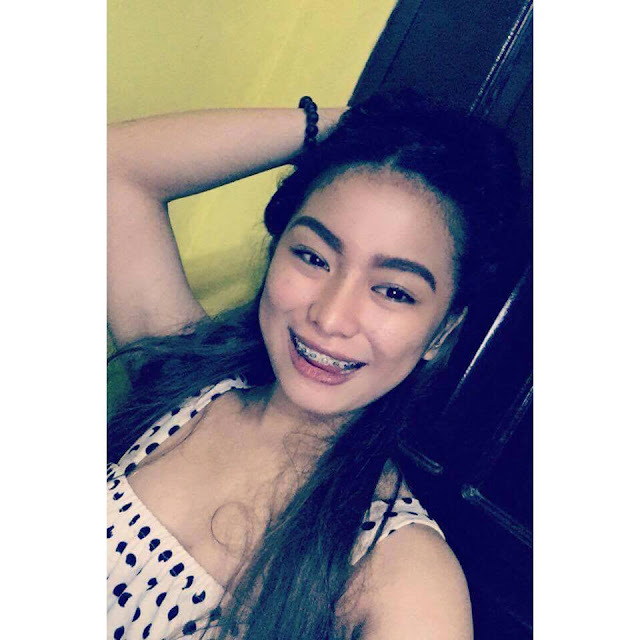 Siya: ano ba yan teh ng ganda ganda mo namaalimos ka hindi bagay! Me: Wala talaga ako pera next time kana mamalimos. Siya: Oh eto mga pinalimos ko sayo nalang para maka uwi ka. Who would expect that kind of act from someone who was down on his luck? Even though the beggar was struggling every day of is life, but still found the heart to pass along what little blessings he had to rescue others who also in need. “Grabe ang bait lang. Sobrang natouch ako. Tapos onting chika sa kanya sa may ilalim siya ng tulay natutulog tapos ako pa tong binigyan niya ng pera para lang makauwi ng safe. Thanks bakla sana pagpalain ka ni God. Baawi ako sayo. 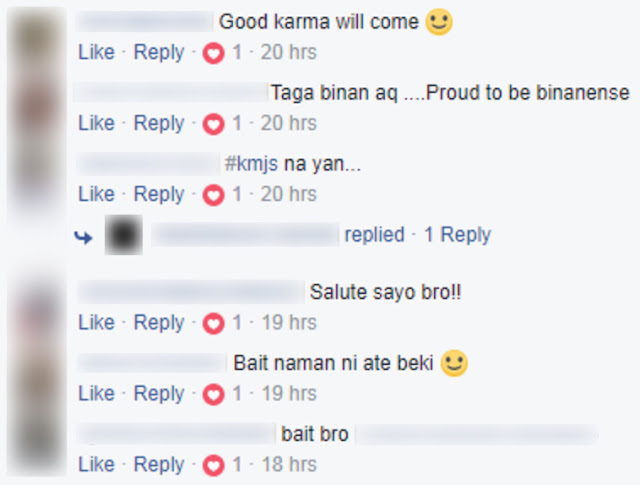 At sa barkada ko walanya pinag tatawanan lang ako. Hays thankyou Lord. May mga tao talagang kahit wala na, namimigay padin at busilak ang puso. 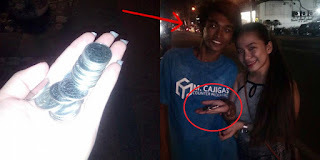 Netizens shared their positive comments towards the helpful beggar. It just goes to show that money isn’t everything in this world. We should learn from this humble beggar – who went out of his way to help a stranger who needed it most. Kudos to you sir! God is watching! What can you say about this heartwarming story?